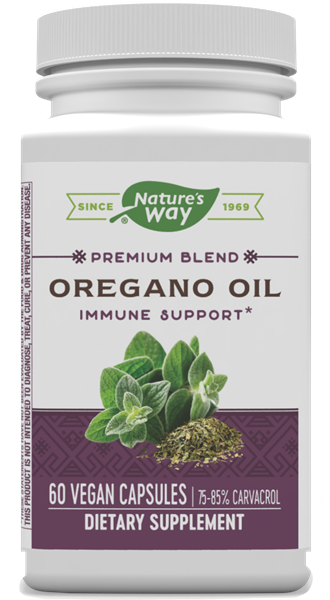 Oregano Oil / 60 Liquid Vcaps - Nature's Way®. Patented formula that contains 75-85% carvacrol. Take 1 capsule daily with food. For intensive use consult a healthcare professional. We recommend the use of a probiotic, such as one of our Primadophilus® formulas, as a complementary product. If pregnant, nursing or taking any medications, consult a healthcare professional before use.